The B.E.G. 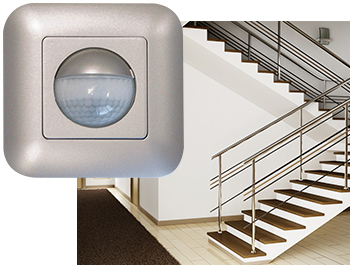 Controls' combination of motion detector and acoustic sensor is both innovative and unique. The automatic light switch GOLF-180-R saves energy by switching on light as and when it is needed, both in private and commercial applications. Stairways, corridors, entrance areas, kitchens and toilets in apartments, houses, restaurants, hotels, offices and hospitals are ideal examples of use.